Present: Working on radio and tv broadcast formats, consulting, writing and teaching at the recreative12 school. 2017: he published his fourth book. “EDM, E Dio Mixa” is a book about electronic music business with focus on b2b and b2c clubbing e music industry. 2007-16: Back to journalism. He became a director of the free press Mania Magazine and from the beginning of October, head chief of LoSport noon free newspaper, cooperating also with DJ Mag Italia, Trend magazine, m2o and Rtm - Radio Tele Magia for Sindacato del Suono radio show. 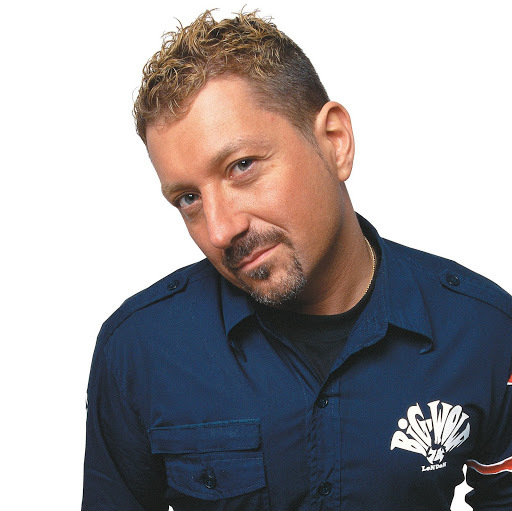 While working with dj Joe T Vannelli he also published “Ladyjay”, his book about women djs only. He’s editor in chief of the sport weekly Stadio5. 2006: Studio manager and talent scout. In February, he became a partner with Diego Abaribi of Melodica company for a women djs project, Ladyay. With Danny De March he’s a partner of Ladyjay Management, exclusive booking for female dj’s. For lineamusica.it web site he manages the Linea Editoriale, a column about music books. 2005: The Mags. He worked together with the Italian edition of the French magazine Trax, Acid Jazz, New Age, Discocube, Trend, Hitmania, Beat Magazine and Match Music Magazine. 2004: The second and new one book. He cooperated with the Kiss Kiss Network, radio broadcast and he published his second book about house music, “Houseology”. 2003: The Promotion. He started one new way with his Vinyl Pusher, branch of Party Muzik group. 2002: The Editorial office: the staff. Deputy editor for the magazine Musicgel for the monthly All Music Magazine and managed the set up in Milan City of Midance, the meeting for music industry adepts only. 2001: The culture. In Biella he realized the Sindacato del Suono, with a study of third millennium music. During the various art exhibitions here he often put his own oil paintwork on show. 2000: Tv and radio broadcast. Together with the presenter Karin T, Riccardo Sada worked as an author for the music-program “Underground Café” on air of Odeon Tv Channel. In the same year he became a reporter for the program Rin of Radio Italia Network. 1999: On-line. From June he was responsible for the Future Syle on-line magazine and worked for the websites: dejayweb.com, of Media records, and mediarec.it and gfb-e.com. During this year, he started to write Le Fromage, a specific dance-pop page for the magazine Discoid. 1998: The independent year. He had a big change when he started to work with the most trendy company Dipiù in Milan City. 1997: The Interactivity. He coordinated the music page of the magazine Tendence, and in the end of the same year, became a responsible for the magazine Loop Television Network, and collaborated with the magazine Radiomusic, No Sleep, Jay Culture, Future Style, Magazine, Tutto Musica e Spettacolo, Kiss Me and Orbeat. 1996: The big change. He became a Dance Communication manager of Media Records and responsible of communication area. In the meantime, he follows Generazione Media (translated Media Generation), nice idea from Media Records: is a tour to schools to teach to the younger the music’s art in all its aspects, from production to communication until the musical culture. In collaboration with Gerry J, webmaster, he landed in the Internet world, opening the own web page for the web side the Dance web, where he’ll became a director. 1995: The first book. He worked with the official Disc Jockey Italian Association, Jocks Mag, and with the magazine Discoid, Disco Mix, Trend Discotec and Tutto Discoteca. He established a professional relation with Art& recording studio. In the same year, he published his first book on dance-house music “The story of House music” distributed by Nuova Carish of Warner Bros group. 1990-94: The sport and others. In ’90, he collaborated with an Italian radio syndication Rete Italia International and Tuttosport newspaper. In ’92 work with Lombardia 7 Tv. 1988-90: Promotion and music. Up to date he has worked as sports journalist for various Italian Magazines. He worked also as a pr for Celebrity in Binasco and Openhouse in Milan city, and P.R. Agency, specialized in marketing, services, catering and public relations. ADDITIONAL INFORMATION. On the field…years in editorial office and press office. Foreign language good level of spoken and written English. Computing Skills software knowledge: Microsoft Windows, Microsoft Office, Adobe Photoshop, Sony SoundForge, Adobe Indesign and Quark Xpress. SPECIALIZATION. Objective: communication in every way, form and direction. Click here to download a Riccardo Sada PDF file info.